The Atomos Ninja V compact monitor/recorder supports the latest mirrorless cameras from Canon, Fujifilm and Nikon. Mirrorless camera competition is hotting up. In the run up to Photokina, September 26 - 29, there has been a slew of announcements of new mirrorless cameras, all with comprehensive video features alongside still capture. For videographers looking to shoot video, the Atomos Ninja V 4K HDR monitor/recorder now supports recording from the new Nikon and Canon full-frame mirrorless cameras, and 4K60 from the APS-C Fujifilm X-T3. 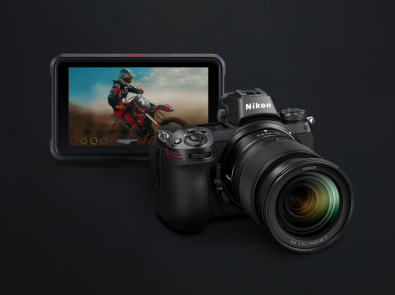 The Ninja V can record 10-bit 4K signal in the new N-Log format from the HDMI port on the new Nikon Z 6 and Z 7 mirrorless cameras. The new Canon EOS R similarly outputs 4:2:2 10-bit 4K but in Canon log format. The use of DSLRs for video has always been a bit of a kludge. With the mirror locked up throughout video capture, the optical viewfinder was superfluous, and many aspects of performance were a compromise. The mirrorless cameras, with electronic viewfinders, represent an alternative for videographers wanting full frame capture on a budget. 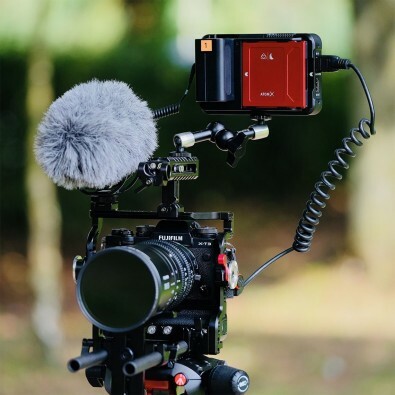 The pairing of a low-cost mirrorless camera with e monitor/recorder raises the bar for filmmakers and photographers shooting video everywhere. The new Atomos Ninja V 4K HDR monitor/recorder first seen at the 2018 NAB Show is now fully equipped to support the latest full frame mirrorless cameras from Canon and Nikon as well as the new Fujifilm X-T3 APS-C camera. The Ninja has a 5in screen with a peak brightness of 1000 nits, allowing HDR viewing and use in strong sunlight. The screen can be calibrated to ensure color fidelity over time. The Ninja records video up to 4K60, 10-bit in Apple ProRes or Avid DNxHR formats to SSD drives. The Ninja can display 10+ stops of dynamic range from log, PQ or HLG camera signals. The Nikon Z6, Z7 can output 10-bit HDMI to an external recorder. The Nikon Z6 and Z& are Nikon's response to growing demand for full-frame mirrorless cameras. With a completely new lens mount, Nikon Z, Nikon has taken the opportunity to use a larger 55mm diameter throat than the F-mount at 44mm. This will allow for larger aperture lenses including the promised 58 mm f0.95 Noct lens. The flange distance is 16mm, c.f. the F mount at 46.5mm. A new Z-series of lenses will be introduced, and converter allows for the use of F-mount lenses. New for Nikon is five-axis In-camera optical vibration reduction, when shooting video this can be coupled with electronic compensation for improved image stability. Autofocus is a hybrid of on-sensor phase detection and contrast detection. The cameras records video to 30 fps at 3840 x 216 resolution, and 120 fps for HD, 1920 x 1080. The HDMI output is 10-bit HMI and now adds timecode. The Ninja V can record 10-bit HDMI from the full-frame mirrorless Canon EOS R.
The first in the full frame mirrorless line-up from Canon features the new RF lens mount, same 54mm throat diameter as the EF, but with a 20mm flange distance (EF is 44mm). A mount adaptor allows the body to be used with EF lenses. In addition, a drop-in filter mount allows filters to be placed behind the lens. Autofocus is Canon’s Dual-pixel AF. The EOS R can capture video to 60 fps at 1920 x 1080 HD or up to 30 fps at 3840 x 2160 resolution. 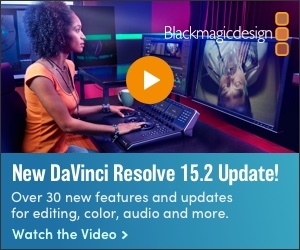 Color space is BT. 709 or 2020, both supported by the Ninja V. Recording 10-bit Canon Log promises 12 stops of dynamic range, which the Ninja converts and displays in real time as a 10.5 stop HDR image. Atomos Ninja V mounted on the Fujifilm X-T3. Fujifilm X-T3 has an APS-C-sized sensor that can capture video to 4K, 60fps, an advantage of using a smaller sensor. The sensor measures 23.6 x 15.7 mm, which slightly larger than the approximately 24 x 13 mm of Super 35. The Fujifilm X-T3 can record simultaneously a 4K/60P 4:2:2 10bit from the HDMI output and record 4K/60P 4:2:0 10bit to an internal SD card. This allows backup video recording or monitoring of 4K/60P footage. The sensor’s read speed is about 1.5 times faster than previous models, which reduces rolling shutter distortion. The Ninja V takes full advantage of the X-T3's 10-bit DCI Cinema 4kp60 (4096 x 2160) resolution HDMI 2.0 output and can record it direct to high quality Apple ProRes or Avid DNx codecs. Atomos have worked with Fujifilm to ensure that F-Log gamma or soon to arrive HLG is accurately resolved and displayed for HDR or SDR production. F-Log and HLG are also supported on all Atomos Monitor/ Recorders. The F-Log can also be output to compatible HDR televisions and monitors in standard HLG or PQ for client and customer viewing directly from the Ninja V. In addition to the F-log and HLG presents users have the ability to load an almost infinite number of custom LUTs onto the Ninja V.